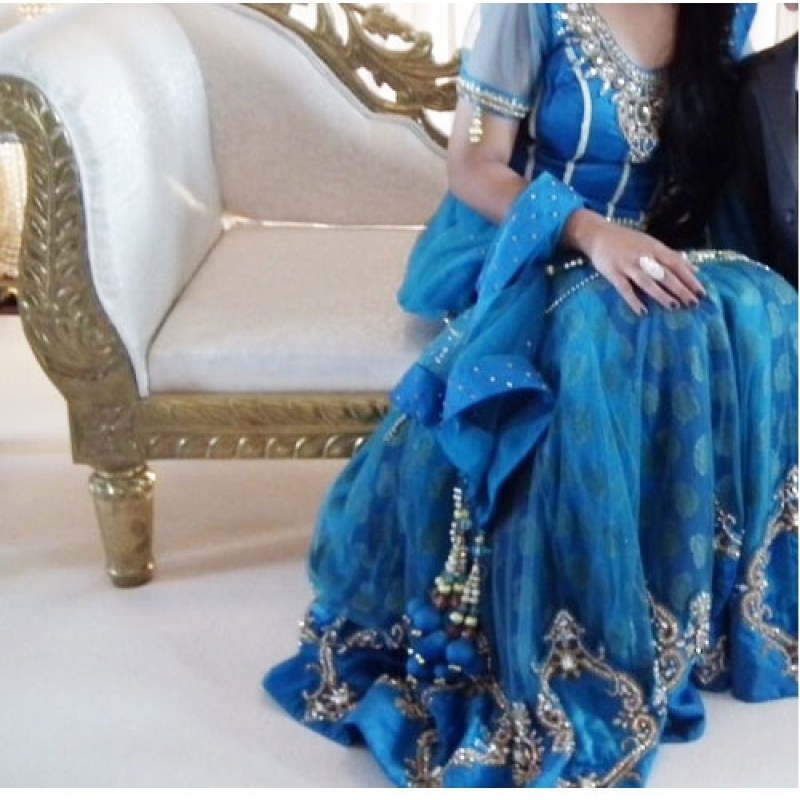 Include yourself in the glamour of the season with this Brandles Blue Net Lehenga Choli with Dupatta. 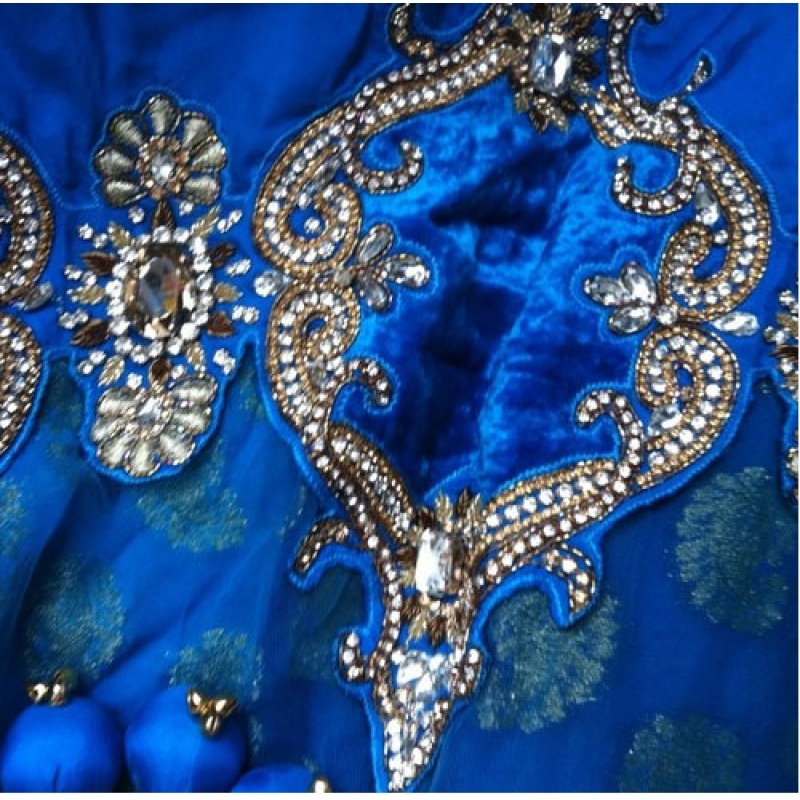 Available with the matching dupatta and choli to add the glam. 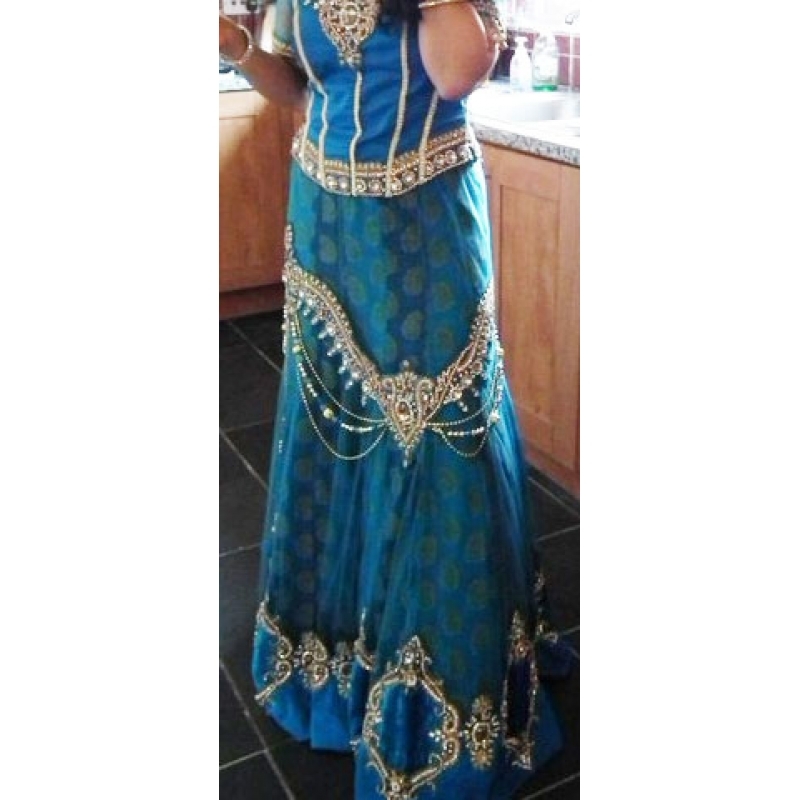 Has a draw string in the skirt and it is a corset style top so both can be adjusted. the top can be tailored long or short. Stunning piece will make you stand out from the crowd!! So grab a bargain! !